It’s probably the most sought-after topic in the whole of the lure fishing industry, and that is the length of your baits used to target Esox. There are all kinds of different ways how one can fish for this species and choosing the exact right size to catch one can be quite a challenge sometimes. Especially with the ever-evolving offer of all shapes and sizes, it’s understandable that sometimes you don’t have a clue what to put on the end of your leader. If you’re like me, the owner of what is probably the biggest lure collection of all time, then the decision for the right bait can be quite a challenge sometimes. It’s a two-way street basically. You can either put on smaller size baits and catch all kinds of fish, big and small ones, or you go for as much length as possible, and only catch big fish or nothing. That’s the decision you can make for yourself. All or nothing. Is it fun, not always, but it’s certainly rewarding. Who doesn’t want to catch large fish right? Secretly we all want to do that. Anyone can catch small fish, but when it comes to the bigger sizes, a different style of fishing comes around the corner. Sure you can choose to fish small baits [5-8”] all year long. You will not only catch small fish, but also some bigger fish, but when you catch small fish, you can’t catch big fish, and once you hooked into a small one, you took away every ability from yourself to get a bigger one. Basically what you want is spend the time on the water as efficiently as possible, and that’s exactly what this article is all about. When I first started Pike fishing, 20 years ago, there wasn’t much spectacular available regarding the variation of baits. Every bait was virtually the same size, and swimbaits was a word no one has heard of before. 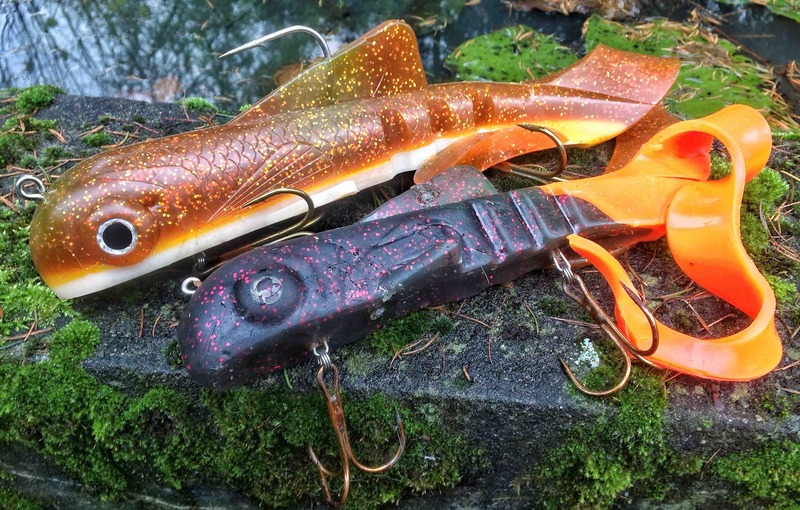 The selection of Esox lures on the market was very limited, and also very basic. When looking back, 5 inches was some serious size, and anything above was seen as monster size baits for Sharks and other extremely large game fish. How much has the industry changed over the years, and also our view on size? I remember when I first got my hands on a Musky Innovations 2 pounder some years ago. 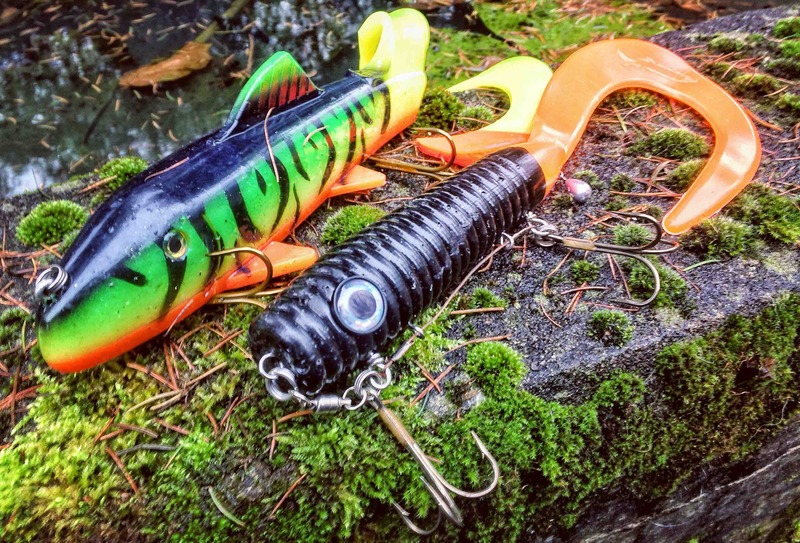 This bait seemed enormous when you held it in front of your face, but when put away on the table 10 yards away, the dimensions directly changed and it looked just like an ordinary lure from your tackle box. Which leaves us with The most important subject in this article; Optical Illusions. Muskie or Pike are known to feed on prey as large as 30% of their size and the biggest fish have mouths where you can fit a football with ease, so it’s no surprise they like large baits. Above you can see an extreme example of such baits. The Musky Innovations Two pounder Bulldawg is one of the largest if not the largest swim / soft bait on the market. As the name already says, it weights exactly 1 kilo [ 2 pounds] and expands as much as 25 inches with a fully stretched tail. Is this a BIG bait? Yes, it is. Does it scare large predators or even smaller fish? No, it doesn’t. And the reason for that is quite logical to explain. As you can see, both baits are quite big, however, if you would compare both to one and other, the bottom one looks small. I remember the first time ever picking up a pounder. To be honest, I was quite shocked by the size of it, and if you told me 20 years ago this would catch fish I would have probably put on a strange face. But to be fair, these two baits aren’t big at all! 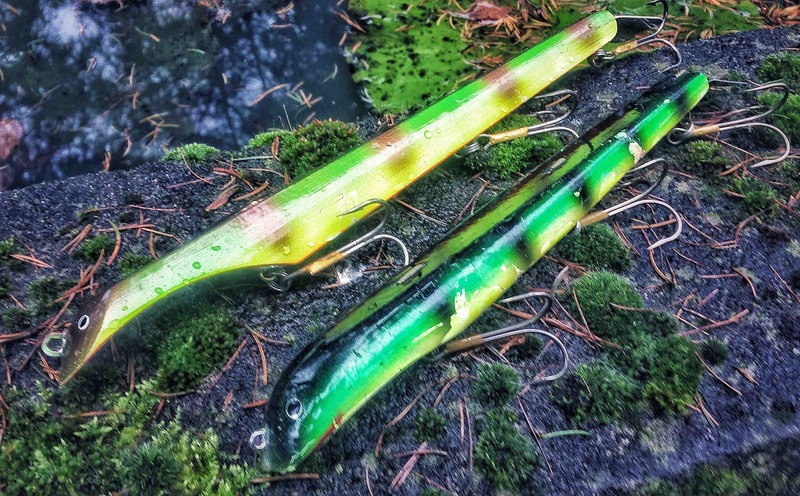 It’s known that Muskie and Pike absolutely love a large profile, so you can only guess what will happen when these are put in the water right? The pounder below has seen a lot of fish and went into the deep multiple times. The two-pounder, however, has not seen that much water yet, but I’ll be happy to cast this one all day on the right rod. Like I said, it’s all about optical illusion. Imagine seeing the brown monster above in front of you. Looks gigantic right? Now ask a buddy to hold it 10 yards away. Already quite smaller? Exactly, that’s what the fish are seeing too. But why, if there is this optical illusion, fish so big? Would you be able to get away with smaller baits too? Negative. Of course, small baits draw in fish, but larger baits will attract more fish. When I’m on the water, I’m not going out to catch Pike. I’m going out to catch The Biggest Pike that’s swimming around. So in order to make this happen, I choose large baits. Although it’s true that one of my biggest fish came on a relatively small lure, but not before it was drawn in by a bigger one. No matter when I’m on or near the water, I want to make the most of my day. Over the years I have found a lot of locations where Pike tend to hang around. Not one of these locations is the same. Each spot is different, and that’s probably what makes it so exciting to fish there. There are places where you can catch smaller fish, and places where you can get bigger fish, but in the end, it all comes down to one thing, and that is using the right size of the bait. All my spots hold Pike, but the way I fish these areas are different. That’s where you can be really selective! I’m sure when you are reading this, you already got your own hotspots in the back of your mind. Question yourself, what you are doing when fishing these places. Over the years my fishing has changed quite a bit. Like for example 3 years ago, I would regularly fish a 5” bait all the time. It would get me all kinds of different size in Pike, and some real monsters too. But it kept me thinking. Nowadays I spend most of my time on the water looking for the ”one”. The biggest fish that roam our waters. But on one point I realized that if I was catching small fish with medium sized lures, I took away the chance of luring in a potential bigger fish by spending time in catching, unhooking and releasing smaller ones. So I made the switch. In the beginning, this wasn’t easy, because the majority of the days that were spent on the water stayed the same, but the catching rate went way down hill. Area’s that always produced one or two fish, remained silent now. Even days when there wasn’t a sign of life to be found at all. Eventually, I learned to live with that. Catching average size Pike is something anyone can do, but after a while, that’s not challenging anymore, at least not for me. When I first started out Pike fishing, the goal was to catch a Big fish, as Big as possible. When you set a goal like this and start catching bigger and bigger, the thrill of encountering a real monster is there all the time, but when you, like me, have already caught some of the biggest of monster fish that swim in European waters, it takes away the need to catch, and wanting more all the time. Basically, it’s a good thing, because now I can focus on really big fish. When having a blank day, and believe me I got a lot of those, even weeks or months, it’s not that bad at all. Because I know that in the end when I keep at it, the reward will be there Big Time! By reading some of the words above I bet some of you are already backing out. For a lot of people, the thought of not catching anything at all is terrifying, and they experience it as yet another lost day. Some people just need to catch fish, no matter what, and go crazy when things don’t work out as expected. If that is you, then you might want to instantly forget all the things I just said. However, if you are willing to open new doors to your angling, then following the instructions written above are very useful. 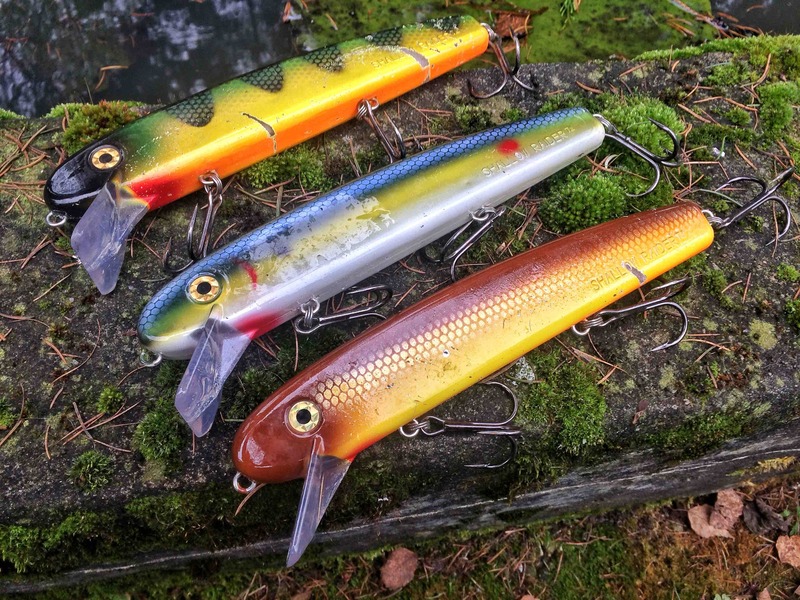 If you like fishing with jerk baits and want to cover as much water as you possibly can in a short amount of time, then fishing large profile baits can be The solution to your fishing and hard pressured waters. I experienced that more than once now, and over the years the formula stayed the same, only the size has gone up. And last but not least, don’t give up when things don’t work out as you would have expected. Remember it’s called fishing, not catching. Make a plan, and work from there. Try different things in between, but always keep in the back of your mind what your main goal is. If you work around that, things will be oke. There’s always that mystery, when a new day starts, how your day will be, what will happen. Because you’ll never know what might end up on the end of your leader. Who knows your next bite might be that fish of a lifetime!